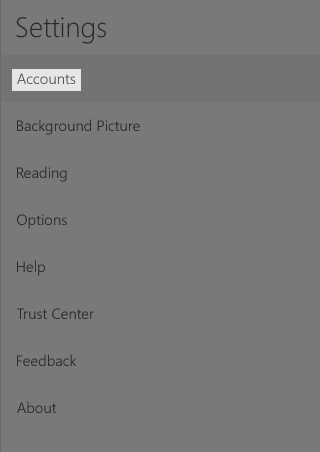 Type "Mail" into the search bar next to the start menu. Click the "Mail" icon that appears in the search results. The mail application should open on your screen. 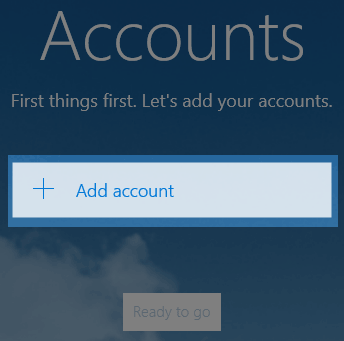 Windows 10 Mail Getting Started button. 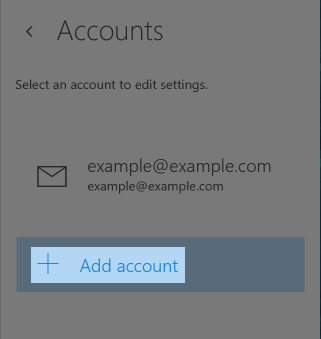 Windows 10 Mail add account button. Click the Settings icon in the bottom left. On the right side of the mail window, the settings pane will open. Click on "Accounts". 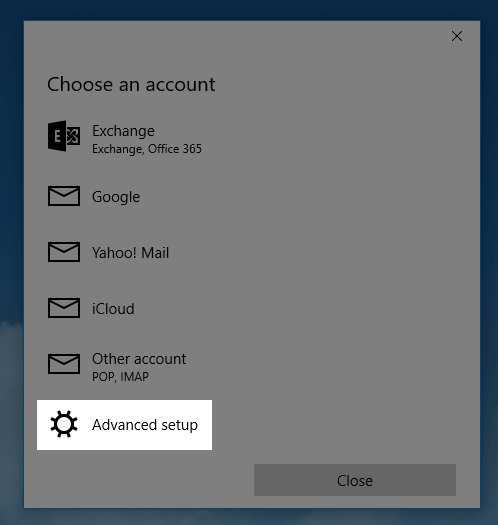 On the new account screen, choose Advanced Setup. 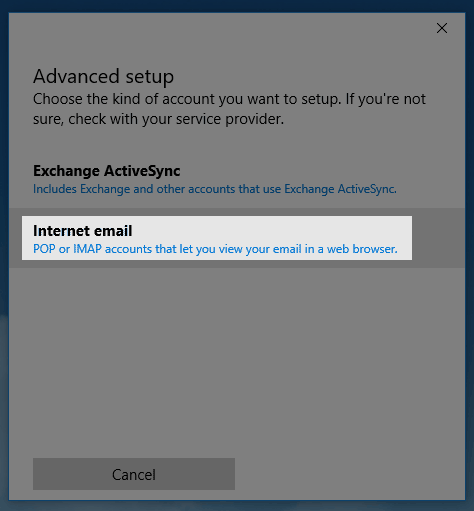 Windows 10 Mail advanced setup. Account Name: Anything you would like to name this account. Your Name: The name that people will see when you send them an email from this account. Incoming Mail Server: mail.example.com Note: Replace example.com with your domain. User Name: Enter the email address for the account you are setting up. Password: The password for the email account you are setting up. Outgoing: mail.example.com Note: Replace example.com with your domain. 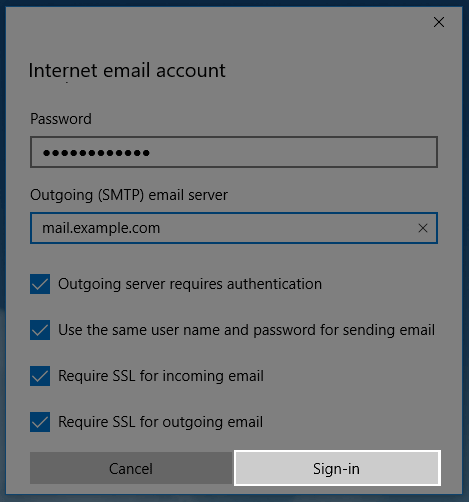 Leave the checkboxes for "Outgoing server requires authentication", "Use the same user name and password for sending mail", "Require SSL for incoming email", "Require SSL for outgoing email" checked. Click the "Sign In" button. 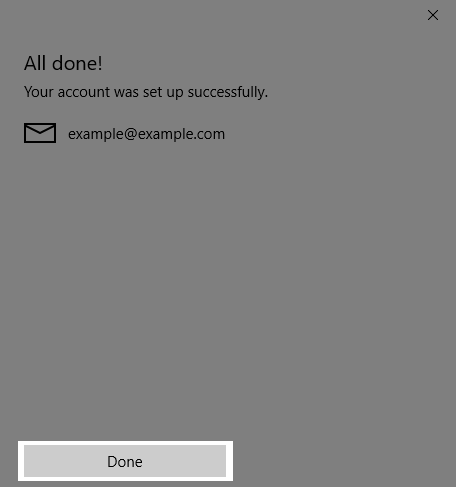 The Windows 10 Mail sign in button. On the "Setup Successful" message click the "Done" button. 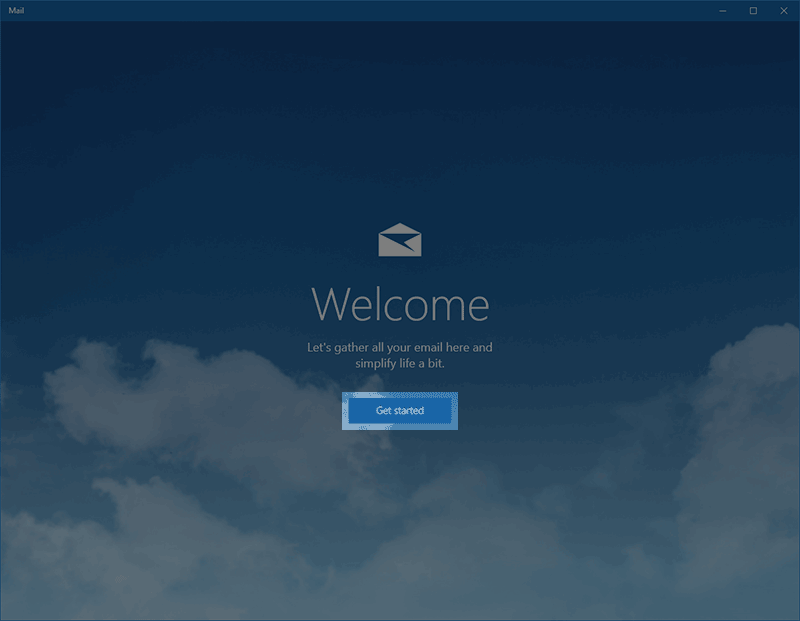 The Windows 10 mail setup successful window. If you receive an "Untrusted certificate" message, click the continue button. 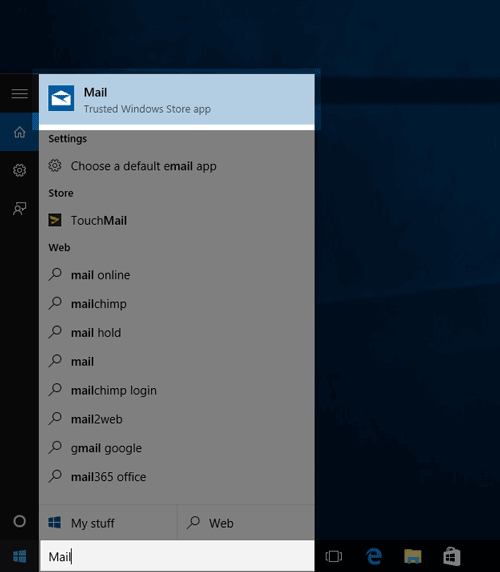 Your email account should now be added to Windows 10 mail. How to setup your HostMonster-hosted email address with an email application.